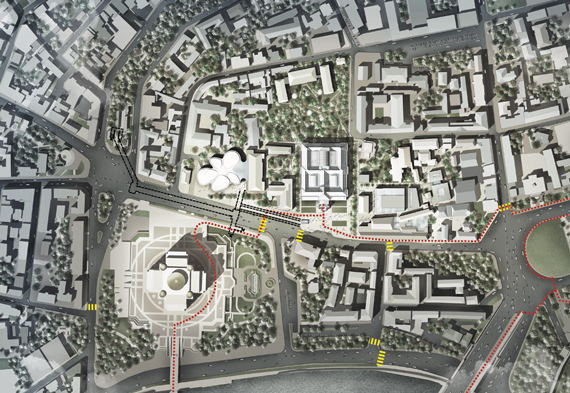 The Masterplan focuses on the expansion of the Pushkin State Museum area within the Golden Ring of Moscow. It consists in adding several new exhibition halls and related ancillary functions to the main building. In the first phase of the project, Systematica carries out a general master plan review and a wide-area analysis mostly focusing on the site overview and on the existing road network. Followed by public transport accessibility analysis, taking into consideration the available underground and surface mode of public transport using related isochrones and isometric accessibility maps. The next step was to analyse the design quantities and population estimates in order to provide the necessary parking generation and loading bay generation studies. However, it was decided not to provide the Museum with any internal parking facility and therefore delivery related and logistics themes became crucial in the design of the exhibition buildings. 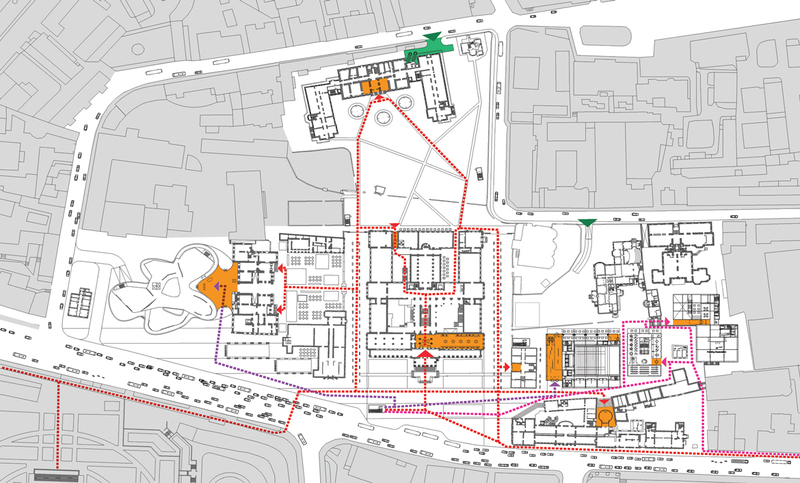 Vehicular and pedestrian accessibility studies were developed in parallel, paying particular attention to the surrounding road network, the existing circulation schemes and major touristic corridors connected to the site. Systematica also studies the civil defence and emergency vehicular accessibility with geometrical verifications mostly concerning the fire tender internal paths. Logistics played a crucial role in the delivery strategy of the master plan being directly connected to shaping lifts, corridors, rooms and loading areas.